Magic hour, better known in photography as golden hour, is a term used by cinematographers to describe the first and last hour of sunlight of the day. The magic resides in the fact during these hours the quality of light is warm and diffuse and shadows are longer but less harsh, thus producing the best photographic effects. The term is used loosely to indicate a precise hour, so it would be more correct to consider it as a variable period of time in which the light acquires its special quality. In fact, changing seasons and latitudes, the golden hour can extend its magical properties to up to several hours daily. In places like Iceland, for instance, it’s possible to experience some of the longest and most extraordinary golden hours possible. 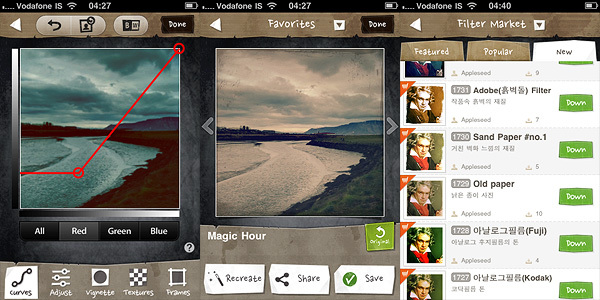 Magic Hour is now also a photo app by Kiwiple: take photos, create and add custom effects, share them with the world. Share via Dropbox and on Facebook, Twitter, Flickr, Tumblr, Foursquare, Cyworld, me2day. Magic Hour combines the features of a camera and those of a simple but effective filter making utility. You can take your photos and edit them right away using one of the presets coming with the app. 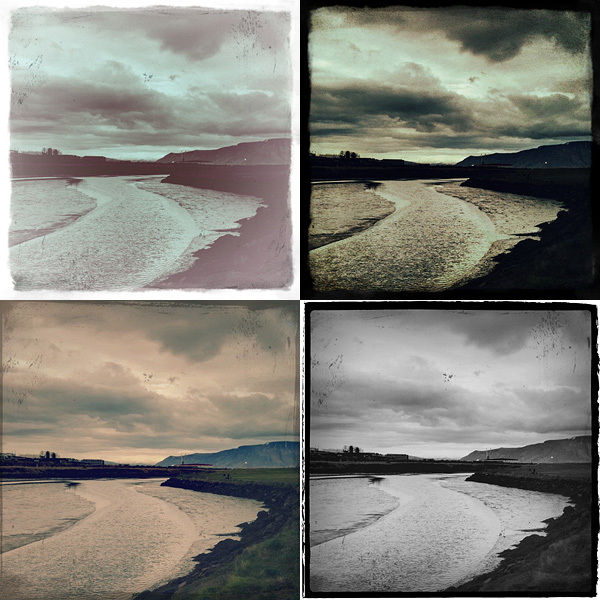 If you’re a little more adventurous, you can create your own filter by playing with various settings as brightness, contrast, curves and by adding vignetting, textures and borders. After your filter creation is complete, you can add name and description to it and share it on the Filter Market. The Filter Market is definitely the most interesting feature in Magic Hour. You can browse through filters created by other users and download them for free to expand your collection. Filter exchange is something many other apps could offer — but as a matter of fact, they don’t or, if they do, the process to acquire new effects is extremely convoluted or, at any rate, not very user friendly. Magic Hour makes filter sharing incredibly easy and fun. The rich presets collection would probably be enough to justify the purchase, but the developer added the possibility to create customized filters by retouching curves, saturation, brightness and contrast and by adding vignetting, textures and frames; if these were not enough, there is the Filter Market to spice things up. Magic Hour makes taking and editing photos fun and accessible for all photo enthusiasts, including newbies. Examples of presets applied to the same photo in Magic Hour for iPhone. The only serious problem with Magic Hour is the output resolution: too small with its mere 640×640 pixels. I was seriously disappointed when I saw the final resolution of the saved images. Unlike other users, I am not bothered by apps using exclusively the square format and the resolution issue is the only drawback to a better rating. Give us higher resolution and we will give you a full score. Compatibility: iPhone (3GS, 4), iPod Touch (4th), iPad 2. iOS 4.0 or later. 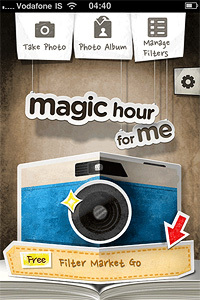 We first want to thank you for purchasing and reviewing our application Magic Hour. After it’s initial launch, many users have been giving us wonderful comments and constructive criticisms and suggestions to improve our app. We are preparing our next upgrade version of Magic Hour. Our develop team are working on high resolution and some advanced functions right now. You can meet our improved version soon. 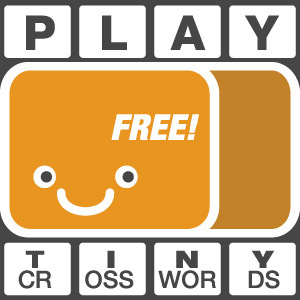 Very impressive app for a first effort. Very well thought out and original UI. Will use it if they increase resolution, which I hope happens soon. Previous post: How Do I Preserve iPhone Battery?